Corporate income tax applies to all domestic and foreign entities that invest in Vietnam − i.e. companies incorporated under Vietnamese laws and those which are incorporated under foreign laws and carry on a business in Vietnam. A 20 percent rate is applicable to relevant enterprises with total annual revenue not exceeding VND 20 billion. Incentives rates may decrease to 17 percent from 1 January 2016 if certain conditions are met. Note: provisional quarterly corporate income tax returns are no longer required. Companies will instead be required to make quarterly provisional corporate income tax payments based on estimates. If the provisional quarterly corporate income tax payments account for less than 80% of the total corporate income tax liability per annual return, the shortfall in excess of 20% is subject to late payment interest (currently calculated at 0.05% per day), counting from the deadline for payment of the fourth quarter corporate income tax liability. Dividends paid to non-resident corporate investors are not subject to withholding tax. Royalties paid to a foreign party for the right to use or license of patents, inventions, industrial property, designs, trademarks, copyright, and technical knowhow (broadly referred to as “transfer of technology”) are subject to withholding tax of 10 percent. Where a tax treaty provides for a lower rate and conditions are met, the tax treaty rate should apply. Withholding tax of 5 percent is applicable to interest and any other amounts charged by the offshore lender in connection with the loan agreement. An offshore loan provided by certain government or a semi-government institution may be eligible for an exemption, where a tax treaty applies. Vietnam has a “foreign contractor tax” regime. The regime covers the taxation of outbound cross-border remittance of contract payments by a resident entity to overseas goods and services providers. Refer to the “Other Taxes” section for further details. Distributions repatriated abroad by foreign invested enterprises are not subject to withholding tax. A foreign investor generally may repatriate its after-tax dividends out of Vietnam after fulfilling all tax and financial obligations towards the Vietnamese Government. Dividends (after tax) received from a domestic business by another domestic business are also not subject to further tax; however, gross dividends (before tax) received by a domestic business from a foreign business are treated as taxable income of the domestic business. Any foreign tax which is paid on the part of income out of which dividends are paid will be deductible against the corporate tax payable in Vietnam (up to the equivalent of Vietnamese corporate tax payable on that income). Vietnam does not have a separate “capital gains tax” regime. Capital gains made by an enterprise in Vietnam will form part of the taxable income of the enterprise and will be taxed at the prevailing standard corporate tax rate. There are specific rules for corporate income tax imposed on the transfer of capital in an enterprise or sale of securities by investors. The purchase price and transfer expenses are generally deducted from the transfer price in order to calculate the taxable capital gain. Tax losses of business establishments may be carried forward fully and consecutively and offset against the profits of subsequent years for a maximum of five years. Carry back of tax losses is not allowed. From 1 January 2014, losses from activities of real property assignments are also allowed to be offset against income from activities of production and business, or from other income. The current corporate tax provisions do not address the concept of grouping/consolidation. The prevailing regulations do not allow profits and losses to be offset between companies within a group. Generally, gains from transfer of shares are taxed at the prevailing standard corporate tax rate. Currently there is no registration fee on the transfer of shares. Gains from the transfer of assets should be subject to the prevailing standard corporate tax rate. Where a registerable asset (such as houses, land, ships, cruisers and boats, automobiles, motorcycles, aircrafts etc.) is transferred, the new owner will be required to pay registration fees. Registration fee rates vary from 0.5 percent to 20 percent depending on the asset transferred. Vietnam does not have specific “CFC” rules. However, a Vietnamese enterprise, which derives income from an investment project in a foreign country must declare and pay corporate tax in respect of the foreign income, including the case where it enjoys tax reduction or exemption under the law of the foreign country. The foreign income will be taxed at the prevailing standard corporate tax rate, even if the Vietnamese enterprise enjoys an exemption or a reduced tax rate pursuant to the current law on corporate tax. 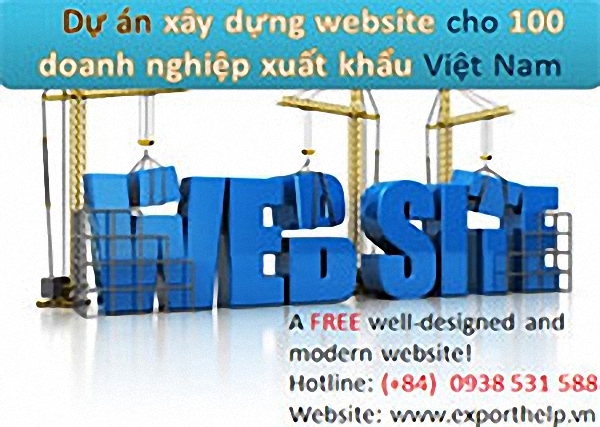 Where foreign income has been subject to any foreign tax, which is “similar” to Vietnamese corporate tax, the Vietnamese enterprise, in principle, may claim a foreign tax credit up to the equivalent of the tax payable under Vietnamese corporate tax law. Transfer pricing has become one of the tax authorities’ priorities in relation to tax administration in recent years. The latest regulations place emphasis on the need for taxpayers to adhere to the transfer pricing guidelines and clearly defines (amongst others), related party transactions which are subject to the transfer pricing rules, transfer pricing methods and compliance requirements. The tax authorities are given power to make transfer price adjustments, with respect to non-arm’s length related party transactions, where taxpayers fail to comply with the transfer pricing requirements. Taxpayers are required to disclose their related party transactions when filing their annual corporate tax return. In addition, the burden of proof is on taxpayers to demonstrate that related party transactions are carried out on arm’s length terms. Therefore, taxpayers are required to prepare and maintain contemporaneous transfer pricing documentation. The Government has recently issued guidance on Advanced Pricing Agreements (APAs). Currently, there are no specific tax-driven thin capitalization rules in Vietnam. However, certain restrictions to that effect can be found in the regulations on foreign loans and corporate income tax (i.e. permitted borrowing capacity and excessive interest rates). There are no specific anti-avoidance rules in Vietnam. However, the regulations on tax administration have a provision which generally requires all transactions to be in line with market rate, otherwise the tax authorities will have the right to re-assess for taxation purposes. Domestic law contains provisions to limit treaty benefits where the main purpose of an agreement is to obtain tax treaties’ entitlements, or where the recipient is not the beneficial owner. Formal rulings are allowed and relatively common in Vietnam. Official letters issued by General Department of Taxation and Tax Departments are applicable to all relevant taxpayers or a specific organization/individual and can be used as a reference. Newly established enterprises involving certain high technology projects; scientific research and technology development projects; and software production projects may be eligible for incentives. Tax law allows corporate taxpayers incorporated under Vietnamese laws to set aside a fund of up to 10 percent of its annual taxable income for research and development (R&D) purposes and deduct the same amount from its taxable income. Taxpayers self-determine the rate to be provided for R&D and are required to report details of their R&D expenditure to the tax authority together with their annual tax return. The R&D provision may only be utilized for R&D activities in Vietnam and must be substantiated by proper invoices and supporting documentation. A 10 percent rate is applicable to relevant enterprises implementing projects on investment trading of social housing. Encouraged special economic zones or areas with difficult socio-economic conditions. The taxpayer must self-assess the applicable incentives in accordance with the current tax regulations. There are no special rules related specifically to hybrid instruments in Vietnam. There are no special rules applicable to hybrid entities in Vietnam. There are some specific tax rules that apply to the Oil and Gas, Mining, and Real Estate industries. - Joint Stock Company (with a minimum of three shareholders). There are capital requirements for establishing a legal entity in Vietnam and these will depend on the business sectors and/or scale of the project to be undertaken by the entity. In addition, there may be other local requirements to establish a legal entity and these will depend on the business activities of the entity. The foreign exchange regulations in Vietnam require that all transactions within the country and between Vietnam residents (defined for foreign exchange purpose) must be carried out in VND. There are only certain transactions that the entity can conduct in foreign currencies as follows: Payment for purchases of goods and services from individuals and organizations outside Vietnam; repayment of foreign loans and interest; collection of revenues from the provision of goods and services to foreign customers outside Vietnam; and other allowed transactions.